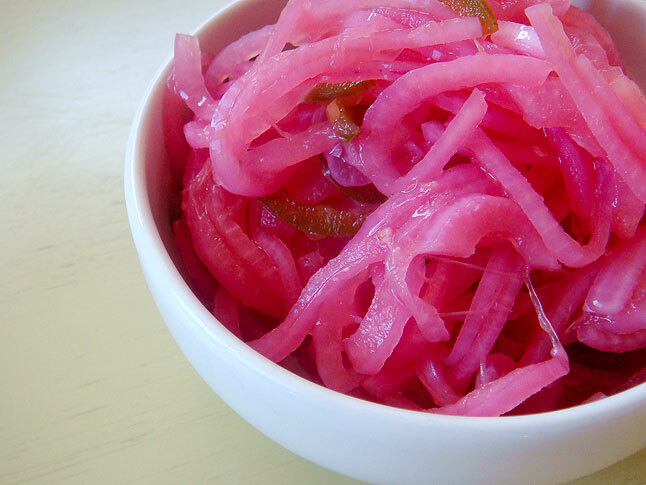 How to make pickled onions for burger toppers, pizzas, sandwiches, pastas…the list goes on and on! Peel and slice the onions to a desired thickness. Combine the vinegar, water and sugar and salt in a bowl or jar. Marinate for 24-48 hours before using them. These onions will only keep for about a week to 10 days in the fridge, so don’t make a large batch unless you’ll be using it all quickly.